The most important thing to get the most out of your crossfittraining is to wear comfortable clothes that allow you freedom of movement. As you know, all Crossfit exercises require very controlled movements which have to be executed in the most correct way possible. To achieve this, we will have to dress in appropriate Crossfit clothing so that during WOD, we should only pay attention to the execution of each exercise. The shorts that we wear for our training should be breathable and offer us total freedom of movement while also preventing sweat. There are several companies that make shorts for crossfit. After doing a great deal of research, here we have reviewed some of the best Crossfit Shorts for men. 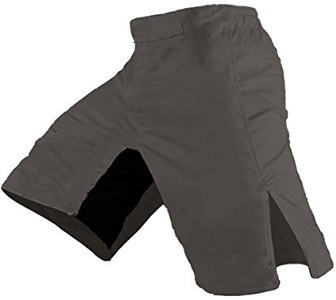 The MJ Soffe Men’s Running Shorts are very sporty looking and available in many attractive colors. 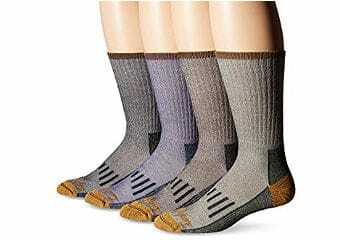 Made of 100% nylon tricot, they give a smooth silky feel. They are also comfortable to wear as well as sleep in. Users say that they have used it for working out, running and swimming. These shortsdo not have a draw string but the waistband is quite comfortable. There are no side pockets but there is a small inside key pocket and comes with an internal lining. They are also appropriate for women, however size will have to be checked and they may have to go down one size. The inseam is 2.25″ and comes in 5 sizes including XXL. 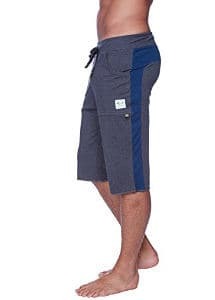 This Champion Men’s Long Short with Pockets is made by the Champion brand which is well known for its price and quality. It is made from 100% polyester and the fabric is lightweight breathable mesh which features the Champion logo at the left hem. It also has an internal quickcord to make any needed adjustments to your waist as well as two side pockets. There is an inner lining of mesh which grips well and an inseam of approximately9″. The length goes down just below the knees. 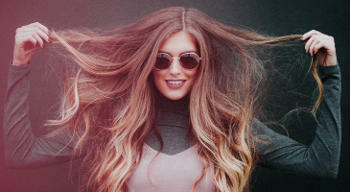 It is easily machine washed and comes in a large variety of colors. The WOD Shorts Agility 2.0 are good quality shorts with triple stitching which makes is perfect for intense training at the gym and MMA workout as well as running. They come with a double Velcro closure system and an inside drawstring for your comfort. For those of you who don´t like any kind of logo, this one is totally blank. 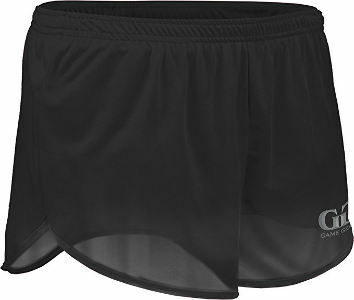 These shorts are made with a light weight 4 way stretch fabric and don´t come with any mesh liner inside. The inseam length is 10 inches and there are no side pockets but there is an inside small pocket which is big enough for the keys. The WOD Shorts Agility 1.0 are great looking shorts reaching just above the knees and are made of 4 way stretch fabric which hugs nicely to the body. The fact that the fabric stretches makes these shorts extremely comfortable. 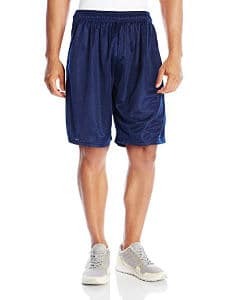 However, if you like baggy shorts, then these are not for you. They also have one side pocket on the right and a hip pocket which is big enough for a phone while there is a velcro closure on the pockets. There is also a 4 inches side slit and a drawstring but no logo on the shorts. You can choose from a variety of different colors. Finally, they wash very well with users reporting that the color doesn’t fade even after many washes. 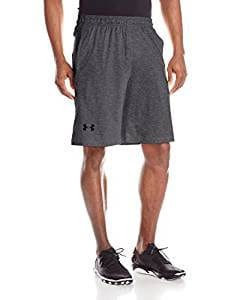 The Under Armour Men’s Raid Shorts come in a vast variety of colors and are made of 90% Polyester and 10% Elastane. They are loose fuller cut which makes it comfortable to wear for running, gym etc. The HeatGear lightweight fabric is very soft and smooth for extreme comfort and the UPF 30+ protects your skin from the sun’s rays. There is an elastic waistband as well as an internal drawcord while the 4-way stretch fabric gives you much better mobility. These shorts have breathable mesh pockets and there is no lining. The inseam is 10 inches for a medium size. 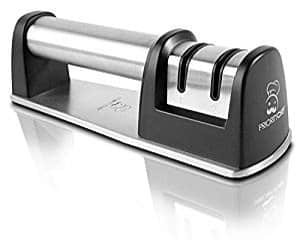 This product gets excellent reviews from the users with a great majority of them being very satisfied with their purchase. 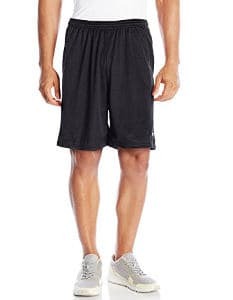 The Russell Athletic Men’s Mesh Shorts are actually all purpose shorts used by people for crossfit, running, tennis and many other activities. The customer reviews are fantastic and the product ratings great. These shorts are made of breathable mesh, the fabric is 100% Cationic Polyester and the lining is 100% Polyester. They feature an elastic waistband, a concealed drawstring and two side pockets which are deep enough to store your things.The inseam is 9 inches in length and they will cover your knees. They are also machine washable and users are very happy with the quality even after many washes. The TR60 Men’s Athletic Lightweight Running Shorts are made with a very lightweight fabric which is perfect for crossfit training. 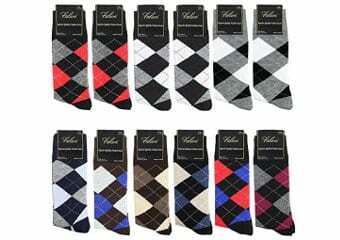 The colors are made from 100% nylon tricot and the whites from 100% polyester.The inseam is 2.5 inches and comes with a matching color built in brief. In addition, the run-dry moisture transport properties will help keep you dry and cool during rigorous training. This product is made in the USA. The company recommends to cold wash it without the fabric softener and simply hang it dry. It does not have a draw string but the waistband grips well and is very comfortable. 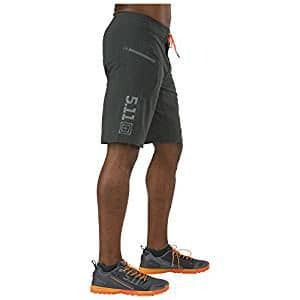 Users review that these are extremely comfortable and good quality running shorts. The Sanabul Essential Workout Shorts are ideal for cross fit training since they have a nice athletic fit and they are neither baggy nor tight. The velcro closure waistband keeps the shorts securely in place during running and there are no pockets. 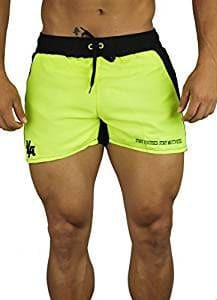 These shorts allow for a complete range of motion for any exercise whether it’s MMA, bjj, wrestling, cross fit work out of the day ( WOD ) or even surfing. The 4-way stretch fiber is comfortable and durable due to the reinforced flat lock stitching and seam protection. There is also an antimicrobial treatment to help reduce bacterial and fungal growth. The 4th Men’s Eco-Track Short is a very high quality product, not like those common low price shorts, and is made in the USA. It is made from French terry fabric from the sustainable Birch Tree wood, and has a 2×1 Rib “paneling” below waistband & down side of leg which allows for an incredible flexibility and range of motion. It’s ideal for all yoga styles — Ashtanga, Bikram, Hatha & Hot as well as Pilates, Tennis, & Soccer. There is also a 1/2″ tubular draw cord and a small inside pocket for keys or some cash while the inseam is 10 inches. The XL size is only available in certain colors and the company recommends that if you want a more relaxed fit, it is best to go for one size up. 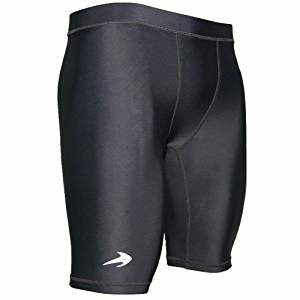 The Compression Shorts-Men’s Boxer Brief is best for running, basketball and other sporting activities. It has a proven compression technology which promotes faster muscle recovery and blood circulation as well as minimizes injury. The flat lock seams stitching will allow for flexible mobility without chafing or skin irritation while the 4-way stretch technology gives it an excellent snug fit, and it retains shape even after multiple washes. The material used is anti itch and anti odor to keep you dry even during those longer workout sessions. The fabric is 85% nylon and 15% spandex. It comes with a small pocket on the inside while the large size goes down to just above the knees. The inseam is 7/8 inches long but the shorts do stretch a little. The company recommends to machine wash in cold water and just leave it out to dry. 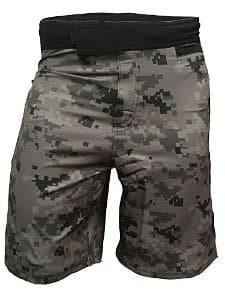 The 5.11 Tactical Men’s Recon Shorts are made of 100% polyester and they are available in different colors. They have offset zippered pockets and the length runs down to just above the knees. 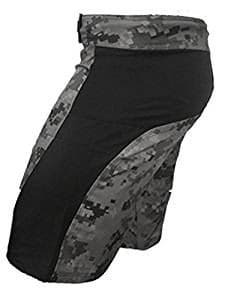 They come in a snug fit and are perfect for the gym crossfit training while the company recommends the size you should get according to your waist. The material is light weight, poly/spandex blend of four-way stretch fabric for flexibility and freedom of movement while the moisture wicking technology will keep you cool. These shorts can be easily washed in the machine. 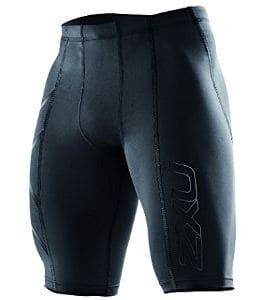 The 2XU Men’s Short is one of the best compression shorts you will find, certainly not a low price item but the quality speaks for itself. It is made of 80% Nylon as well as 20% Elastane and is available in some nice colors including white. It is made with superior technology,Invistalycra, for Certified Gradient Compression. It is also antibacterial & SPF 50 for sun protection. You will find it to be very breathable &lightweight. Here are some of the activities that people have been using it for: Training, aerobic sports, running, cycling, gym &fitness, climbing &hiking. In addition, it has a small pocket inside for keys and does not come with lining. The inseam for a small size is 25cm (9.8 inches) and goes up by 1cm for each size. 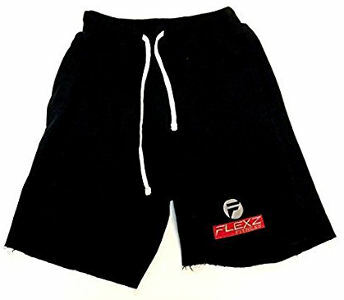 The Blank MMA Short is a high quality product which is made of polyester and is highly recommended for MMA training. It has a double Velcro closure, a drawstring closure and does not come with any kind of logo. It’s available in 4 colors. The fabric used is of a medium weight,IMPACT Series for the body and Nylon Spandex for the crotch area, and offers a full range of motion. These shorts have side slits for a sporty look and are reinforced with triple stitching for maximum quality. Overall, this is a good quality pair of shorts for all sorts of sporting activities. 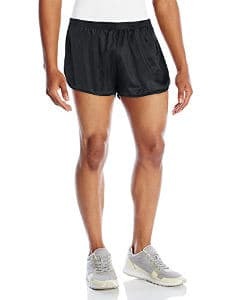 The Youngla Men’s Bodybuilding Gym Running Shorts are made of 100% polyester and their real snug fit makes them ideal for the gym and other sports. They do run a bit small though and it is recommended to go for one size bigger but the company gives the waist size so it’s easy to see what is suitable for you. They also come with deep pockets on both sides with a zipper to securely place your phone and stop it from falling out during your workout. The material used is extremely lightweight, flexible and moisture wicking to keep you cool, and can be machine washed. You can use these shorts for swimming as well but they do not come with a liner. The Champion Men’s Crossover Short is made of Body: 100% Trilobial Polyester Stripe; Piecing: 100% Polyester Dazzle; Liner: 100% Polyester. It has a covered elastic waistband, an internal drawstring closure for adjustability and a small “Champion” embroidered logo on the left hem. In addition, there are two side pockets for storage which are quite deep.It does not come with a liner but feels very comfortable when you wear it. The length runs down to cover your knees. Users have given this product very high ratings and the reviews are extremely good. In a lot of cases, people say that they have bought two or three pairs. Made of 86% polyester & 14% spandex, the Spartan Performance Cross-Training Shorts are extremely durable. The length from the top of the waist band to the bottom of the leg is 21 inches. Also, the waistband has a hook and loop drawstring for good closure while the fly has a velcro for comfort. There are 2 front and side pockets and the slit is 3 inches for a full range of motion. It comes in even sizes (30,32,34 etc) and the company recommends that if you are between sizes, you should go for one size bigger. Moreover, you have an option of 4 colors and at the time of writing this review, there is a fantastic discount available, making this product a great price for the quality. 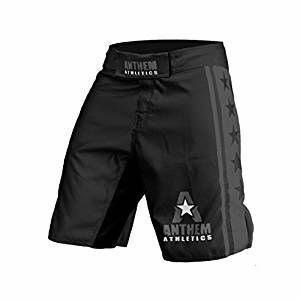 The NEW 10+ STYLES Anthem Athletics Resilience Fight Shorts are made of tear-resistant fabric with an attractive looking printed logo and graphics. They do not have any pockets. There is a two fold velcro waistband with drawstring and non-chaff front while the side slits and 4-way stretch crotch serve for optimal movement. 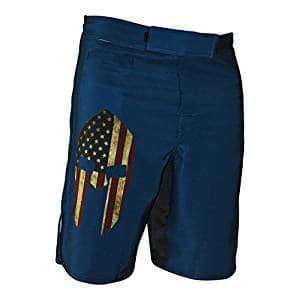 The company claims that these shorts are optimized for BJJ, MMA, Muay Thai, WOD, KravMaga and Pankration.They also offer a detailed size chart with waist measurements and a full 30 day money guarantee if you are not happy with the product. 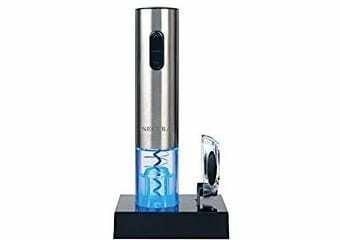 Users give this product very high ratings and you have an option of many colors and designs. The Gym Shorts Sweat shorts are made from a breathable soft material which is lightweight and comfortable with fleece inside. 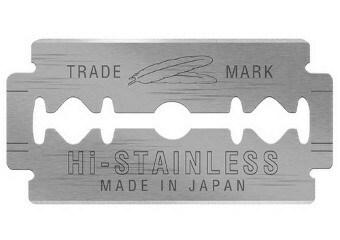 It is pre shrunk so you won´t have any surprises after a wash. These shorts are multi purpose but specially designed for the gym. They have generous room and stretch for squatting and deadlifting. The waist has an easy draw cord for adjustability and there are good size pockets for storage. It is only available in three colors. In addition, the company offers an exchange or a full money back guarantee if you are not fully satisfied. 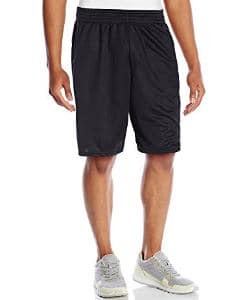 The Jed North Men’s Fitted Shorts are very durable and made of superior quality material, 90% polyester and 10% spandex which feels very soft and stretchy and helps you to stay comfortable and dry. They are an easy fit for a wide range of motion and perfect for weight-lifting, cardio, Crossfit, etc. 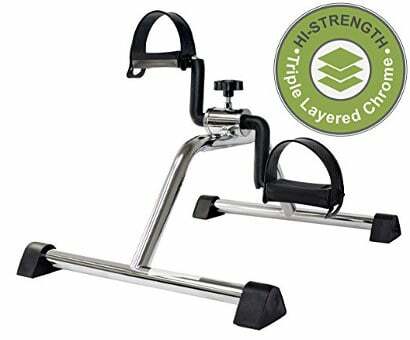 The company has made some improvements and the new cut allows your legs to move freely even during your most intense gym workout. These shorts are shorter than regular shorts and the company gives you “rise” measurements so you choose the right size for you. You also get a 100% guarantee and you can return this product for a replacement or a refund within 30 days. All in all, these are the best crossfit shorts for men we have selected based on their great quality and other important features as well as top user reviews.